The author of 15 Minutes to FITNESS: Dr. Ben's SMaRT Plan for Diet and Total Health, Dr. Vincent (Ben) Bocchicchio, has been an innovator and leader in the fields of fitness, exercise, and health since the 1970s. Dr. Ben was an award-winning athlete in high school and college, and he was involved personally in professional and international athletics. He was awarded degrees in the fields of Health and Exercise at the undergraduate, masters, doctoral, and postdoctoral levels. 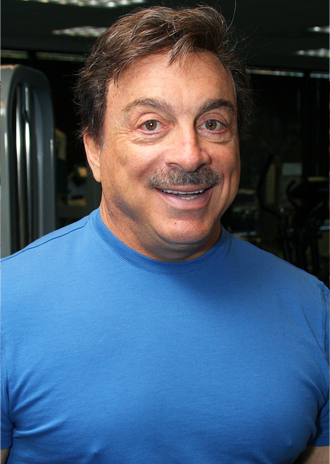 In 1973, Dr. Ben founded Sports Conditioning in Staten Island. The initial objective was to condition professional and world class athletes. Using the same principles that had been so successful with the athletic population, Ben became involved in developing programs for weight reduction, cosmetic enhancement, general fitness, and health and rehabilitation. He was called upon as an expert by professional and college teams, TV, radio, screen, and stage personalities, medical institutions, and corporate entities. Dr. Ben owned and supervised a number of private fitness and health centers from the early 1970s until the present time. He also developed and owned spine and cardio vascular rehabilitation centers, where he used his S.Ma.R.T.-EX ™ program. Dr. Ben has been commissioned by a number of teaching hospitals as an exercise physiologist. In addition to all these endeavors, Dr. Ben was associated with the famous weight loss program owned by Sandoz Medical called OPTIFAST and was called upon to develop an adjunct exercise program. Dr. Ben was also commissioned as the first legally accepted expert witness in the fields of fitness and exercise by TASA (Technical Advisory Service for Attorneys) and has been qualified in court in many states as a bona fide expert in those fields. Dr. Ben has continued his work in the fields of fitness, wellness, and health to this day. He currently maintains a private fitness and health practice in Arizona. This successful business includes medically managed weight loss programs that combine prescription medication therapy, nutritional counseling, and supervised exercise. Dr. Ben recently conducted studies in the fields of exercise and health. He published and presented his findings to international meetings of the American College of Sports Medicine and the American Physiological Society. 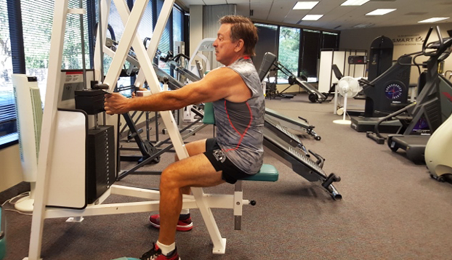 Now in his 60s, Dr. Ben continues to train regularly using his revolutionary S.Ma.R.T.-EX™ training system. This enables him to maintain a high level of strength, significant muscle mass, and low body fat. He continues to be a much sought-after expert and consultant by corporate, educational, and individual clients. Read Dr. Ben's revolutionary book that includes tips to place you on the road to optimal health and fitness. You'll be amazed at how soon your body will respond to workouts that take just minutes a day and only have to be done twice a week. Dr. Ben's S.Ma.R.T.-EX™ (Slow Maximum Resistance Training Exercise) program has been licensed throughout the world. His metabolic makeover programs have proven to be unparalleled in getting safe, effective, and rapid results for people young and old, including world-class athletes, sedentary people, and rehab patients. S.Ma.R.T.-EX™ is a system of exercise invented and developed by Dr. Vincent "Ben" Bocchicchio in 1974. 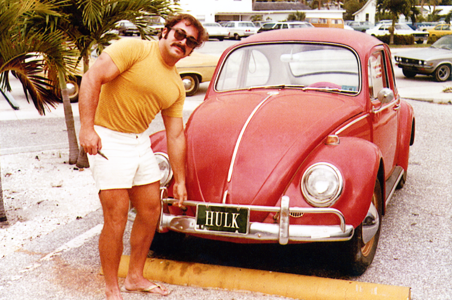 He's the creator of slow resistance training, which is a mainstream fitness technique used by trainers worldwide. In this phenomenal book, you'll learn a program based on a circuit of resistance exercises performed twice a week with at least 2 days of rest in between sessions. All movements are slow and continuous. At the point of muscle failure (the inability to perform another repetition in good form), your set is completed. Sets are performed with as little rest between them as allowed by recovery from a breathless state of exertion. The S.Ma.R.T.-EX™ exercise program is a series of seven resistance training exercises performed in a specific sequence, usually completed in 15 to 20 minutes, twice per week. When you purchase 15 Minutes to FITNESS: Dr. Ben's SMaRT Plan for Diet and Total Health, you'll be subscribing to an exercise system with a 30-year proven history of getting results with an average of less than 40 minutes of exposure per week. Exercise should be considered a prescription for good health. Productive exercise is not a hobby or a diversion. It is absolutely essential for everyone, regardless of age. With a nominal time commitment of 15 to 20 minutes, twice a week, 15 Minutes to FITNESS: Dr. Ben's SMaRT Plan for Diet and Total Health can help you achieve your optimal fitness and a healthy body. Contact us for a signed copy.